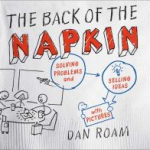 The well-worn phrase “A picture is worth a thousand words” takes on new meaning with two recent books, The Doodle Revolution by Sunni Brown and The Back of the Napkin by Dan Roam. 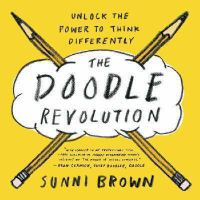 Both books make a compelling case for using visual representations – doodles or drawings – to communicate with others, describe complex processes, think through problems, and collaborate on solutions. Both authors make a point of insisting that everybody can doodle or draw diagrams effectively. They teach even the most drawing-phobic among us to use visual thinking and communication. You’ll definitely want to have a pencil and paper handy when you read these.